Write us an email! Get directions! A BIG well done to William, one of our regular customers, who is our Christmas 2015 Winner. For the past few weeks, we have had a large jar of Santa’s sweets on our counter for Frodsham’s under 16’s to guess how many sweets were in the jar. 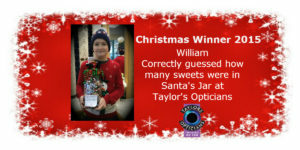 We had 53 entries, but only William guessed the exact number of sweets…149 to be precise! 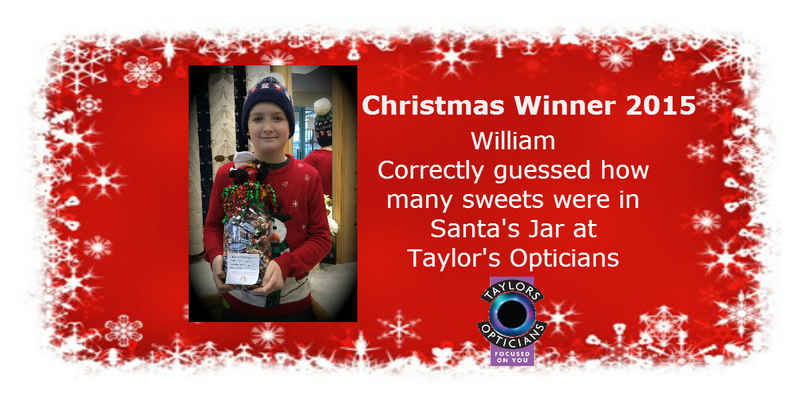 So well done on your expert counting skills William, and from all of us at Taylor’s Opticians Frodsham we wish you and your family a very Merry Christmas. © 2019 Taylors Opticians. All rights reserved.